We posted earlier how NYCC had a costume contest for heroes, but what if you’re more of a dark side type of person? Well wait no more! 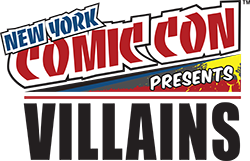 NYCC has announced details for their Villains contest. Calling all miscreants, scoundrels and mischief-makers. Events are taking a turn towards the dark-side when NYCC Presents…Villains! Join us on the dark side in your blackest garb for a chance to dominate in the Villains Costume Contest. If costumes are too cute for you, get ready to duel in our drawing competition. Who knows, maybe a special comic guest will crash the party! There will be drink specials for the power-thirsty, freebies for the ambitious and an afternoon to stir up evil plans with your local mad scientists. Think you have what it takes to be a hero? RSVP today with your name and any guests to reedpopsocial@reedexpo.com. Space is limited so sign up before it’s too late! You can read the rules here. Any of you planning to attend?